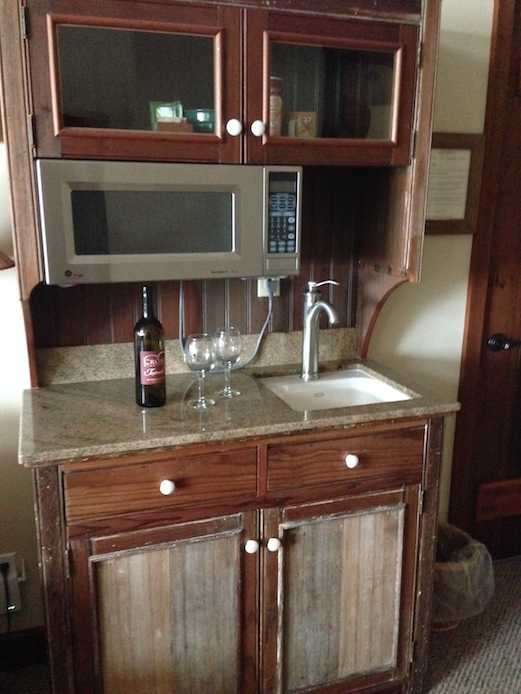 The Hideaway suite will embrace you with a sense of privacy with its own staircase, old growth redwood cabinets, tables and doors. 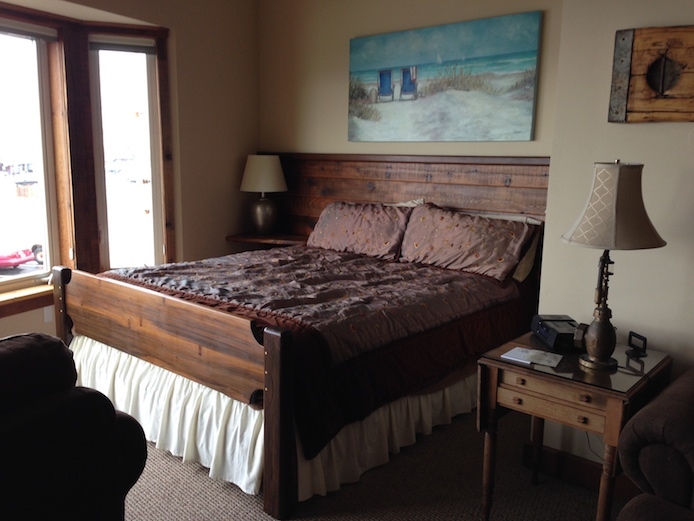 Even the king size bed is custom built from redwood. 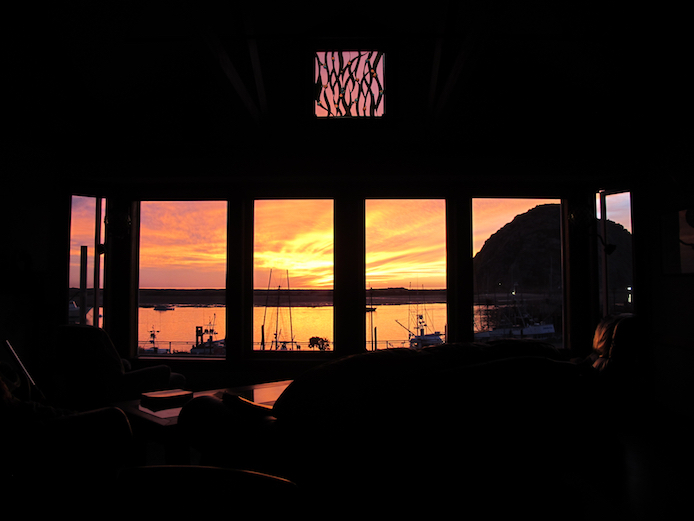 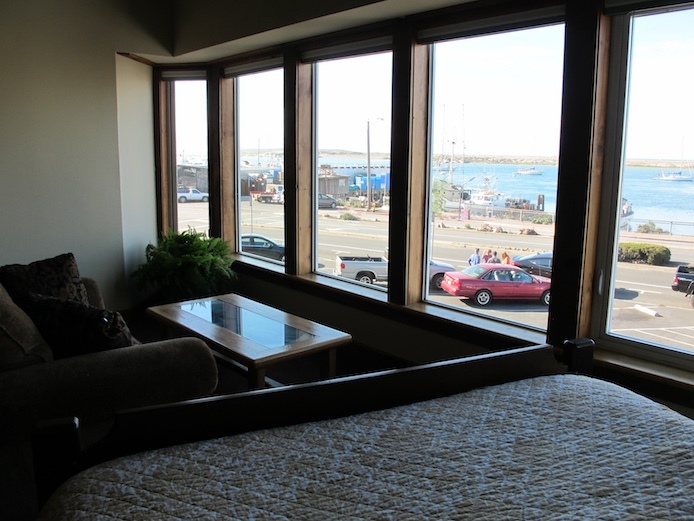 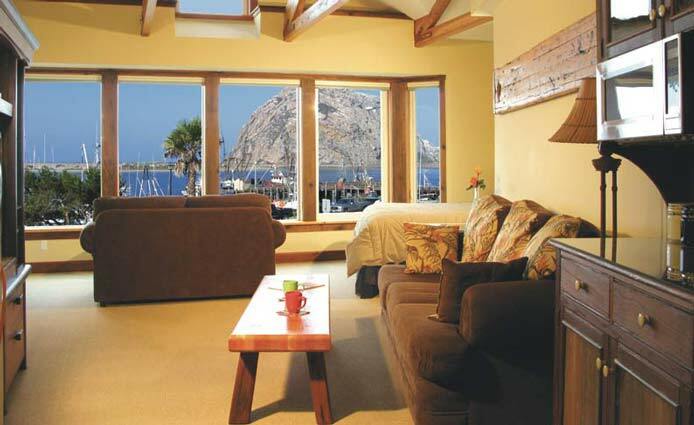 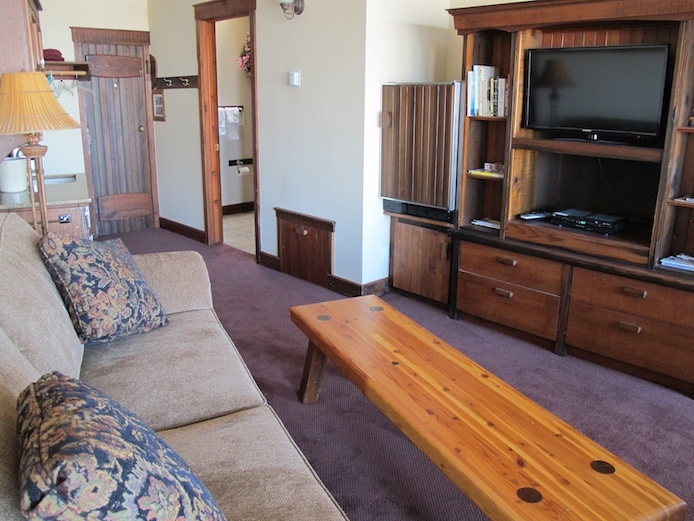 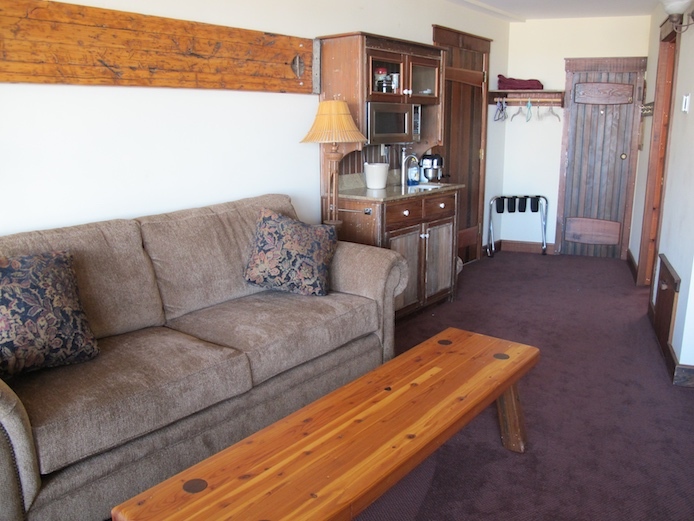 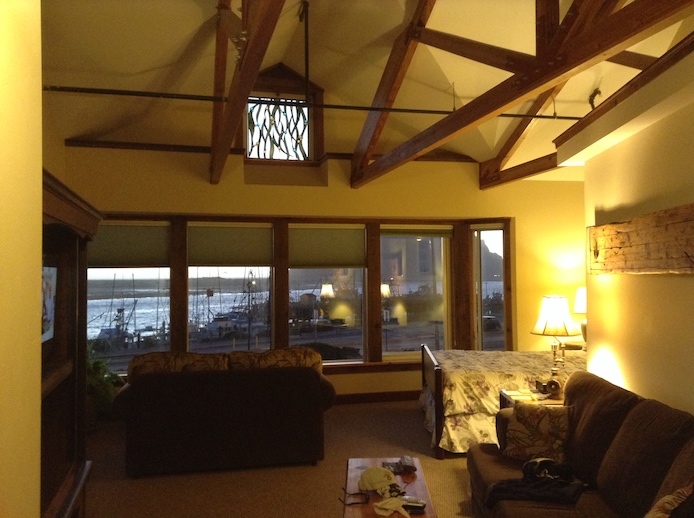 Nylon carpet and comfy couches are lavish furnishings to match the incredible view of Morro Bay and the harbor. 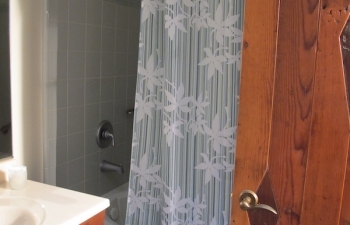 The tiled bathroom with deep jacuzzi tub and shower is sizably comfortable and stylish. 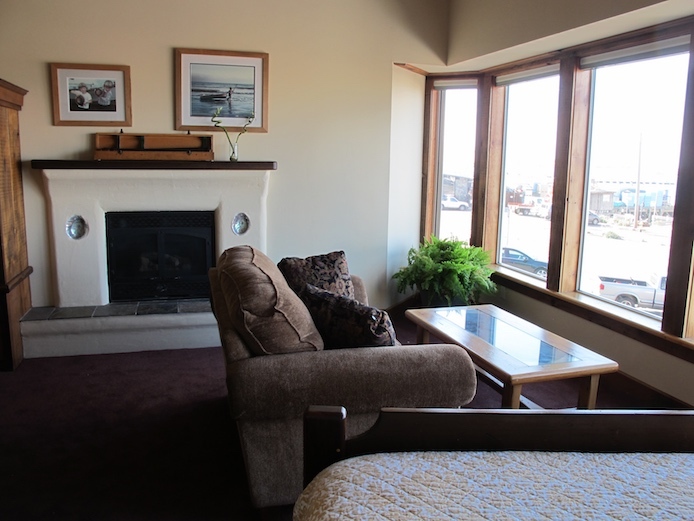 Hideaway is a couples’ romantic exclusive retreat with a beautiful gas fireplace.